Get the All Access Challenge Pack Today! Start the 3 Week Yoga Retreat! 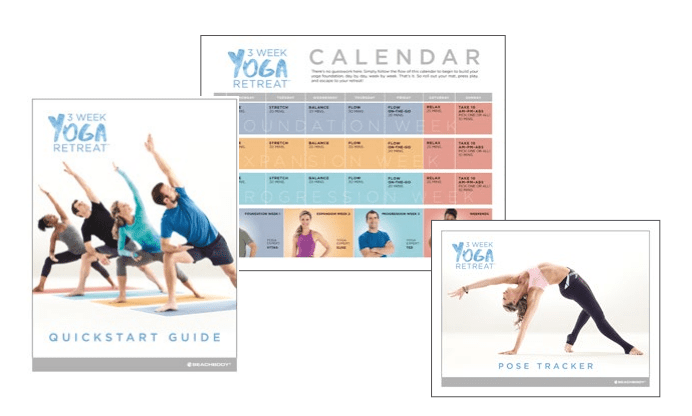 3 Week Yoga Retreat™ DVD Package! What is 3 Week Yoga Retreat™? 3 Week Yoga Retreat is Beachbody’s first-ever in-home yoga program designed for beginners. For those who have always been interested in yoga but were too intimidated to try, this is the perfect place to start. This is yoga stripped down to the mat. No candles, no chanting, no OHMs. Learn the basics in 21 classes, one per day, for 3 weeks. Each class is 30 minutes or less, taught by one of four Yoga Experts. Experience all the benefits of yoga and be able to excel in any yoga class. This is Simply, Yoga. Who should use the program? Anyone who is a yoga beginner, especially those who have always wanted to try yoga. It’s also valuable for people who are looking to complement their current fitness, become more flexible, reduce stress, or improve balance. This introduction to yoga is designed to start with the basics and build from there. Each day of your retreat has a specific focus that allows you to grow in your yoga practice and each week builds on the prior week. You don’t have to worry about your form, because our team of Yoga Experts paid close attention to the guidance and instruction of each move so you know you are doing it right. In fact, the cueing is so on point, you could do it blindfolded. The foundation of yoga starts in your core. This class focuses on exercises that engage, activate, and build awareness of these very important muscles. This class is aimed at helping you stretch, extend, and lengthen all the muscles in your body with a variety of poses. Challenge yourself with a series of different postures that engage the core and help you develop better balance inside and out. In this class you’ll put together everything you’ve learned so far and connect it with your breathing in a nonstop “flowing” format. This is Vinyasa Flow, Beachbody-style. A shorter, more advanced version of Thursday’s class that features a little less cueing. Faith helps you unwind from your week with this relaxing class. These are short, 10-minute classes that will help you wake up, wind down, or work those abs. Pick one or do all three. Each class is taught by one of four Yoga Experts who each have extensive yoga experience. Vytas takes you through your first week, the Foundation week, where you’ll learn the basic fundamentals of yoga. Elise teaches week two, the Expansion week, where you’ll broaden your knowledge and strengthen your skills. Ted guides you through the third and final week, the Progression week, where you’ll kick it up a notch and really begin to see your progress. And each weekend, Faith will help you unwind with a relaxing Saturday practice and a ”take 10” invitation on Sunday to pick a class that fits your mood. Four Yoga Experts take you on a journey, week by week, teaching you the basics of yoga and giving you a solid foundation at the end of 3 weeks. We’ve paid special attention to guidance and instruction so you can be sure you are doing it right. This walks you through your 3-week journey step-by-step. Find out about each week and the instructors who will be teaching you the fundamentals of proper yoga. There’s no better way to see how far you’ve come at the end of 3 weeks than by documenting your skills at the beginning. See what’s in store for you every day, for all 3 weeks. Learn more about yoga to enhance your experience. Watch our short tutorials about props, breathing, and some of the basic principles and poses in your practice. Only required equipment is a yoga mat. Extra thick and soft, this mat enables comfortable yoga practice by providing cushioning for your knees, ankles, and other sensitive areas. Increase strength, flexibility, and circulation with this high-density, closed cell foam yoga block. Lightweight and durable, it’s the ideal yoga prop to help deepen your postures and stabilize your body during strenuous poses. Note: Join the Club first so that you get your 10% discount. Joining my 3 Week Yoga Retreat will provide additional support to help you stay on track with your workouts and nutrition. 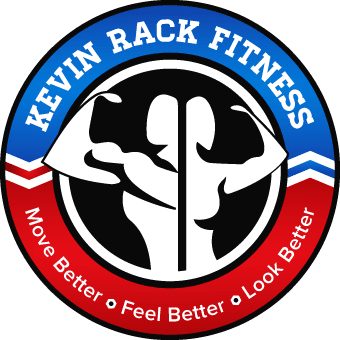 The workouts will help you develop balance and stability, which promotes functional strength, and it helps your mental health. Try these Yoga workouts, stay in touch with My Challenge Tracker phone App, and, with time, you will see your flexibility, balance and strength improve, your stress levels reduce and notice a refreshing feeling of well-being and inner peace. Phone App to track your workouts for daily accountability, get support and track your progress to reach your goals. Reserve your spot today! in my group by sending me your registration form. I will contact you with more information about how to get started! Get the Annual All-Access Beachbody On Demand and Shakeology Challenge Pack! Get unlimited access to every Beachbody program on Beachbody On Demand, including the 3 Week Yoga Retreat and all new releases during the year. There’s nothing more to buy, and nothing new that won’t be included. With this Challenge Pack, you get 24/7 streaming access on your smartphone, laptop, tablet or TV, anywhere you have internet access. Instantly stream every single workout for popular new hits like the line-dancing inspired Country Heat®, the mixed-martial arts inspired Core De Force®, plus our full library of proven fitness programs like 21 Day Fix EXTREME®, INSANITY® MAX:30, 3 Week Yoga Retreat and more. Plus, you’ll get a 30-day supply of Shakeology that helps support healthy energy levels and reduce cravings, to get the best results possible, even faster. Portion Fix – an easy-to-follow system with seven color-coded containers, Shakeology shaker cup, and nutrition guide that tells you how much to eat to lose weight! Premium annual membership to the Team Beachbody Club, where you’ll find all the support you’ll need to get amazing results, plus a 10% discount on all future purchases on TeamBeachbody.com.